Obituary for James M. Garvin, Sr. | Family Care Services, Inc.
East Palestine-James M. Garvin, Sr., 83, passed away peacefully at home in his sleep early Saturday morning, March 30, 2019. Mr. Garvin was born November 2, 1935 in Clarkson, a son of the late Robert and Ruth Hole Garvin and had lived in this area all of his life. Jim was a 1972 graduate of Youngstown State University and had worked as a heavy equipment operator for National Refractories in Columbiana for 42 years. He was a member of Local 523 and served as the union shop’s financial secretary treasurer. He also worked at Walmart in Salem for 12 years. 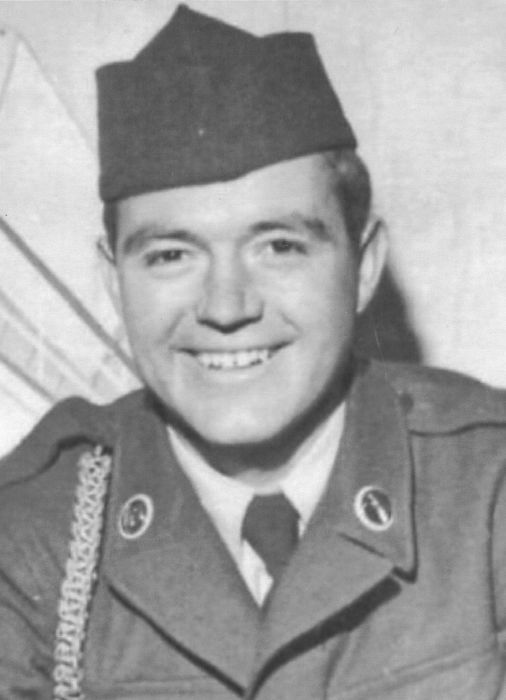 Jim served in the US Army. He was very active and enjoyed working outdoors, including cutting and collecting firewood and working on his tuck and tractors. Jim always liked seeing and feeding the cats and birds on his property. He also enjoyed watching the Steelers and classic westerns. He was a very loving and devoted husband, father, brother and PapPap and he will be missed dearly. He is survived by his wife of 60 years, the former, Carol Ann Biggins, whom he married November 22, 1958; his daughter, Gail (Chuck) Aczel of Canfield; a son, James M. (Laura) Garvin, Jr. of East Palestine; two sisters, Betty Knight and Esther Scott both of East Palestine; and six grandchildren, James M. Garvin III, Laura A. Garvin, Nicholas Garvin, Noah Garvin, Jesse Aczel and Kayti Aczel. He was also preceded in death by his sisters, Jean Butler, Virginia Crowl and Grace Crawford. Visitation will be held from 2-4 and 6-8 pm Tuesday, April 2, 2019 at the Van Dyke-Swaney-Rettig Funeral Home, East Palestine. A funeral service will be held at 11:00 am Wednesday, April 3, 2019 at the funeral home with Pastor Fritz Nelson officiating. Burial will follow in Clarkson Cemetery where military honors will be accorded by the East Palestine Honor Guard Group. Contributions in memory of Jim may be made to Angels for Animals 4750 South Range Rd. Canfield, OH 44406.